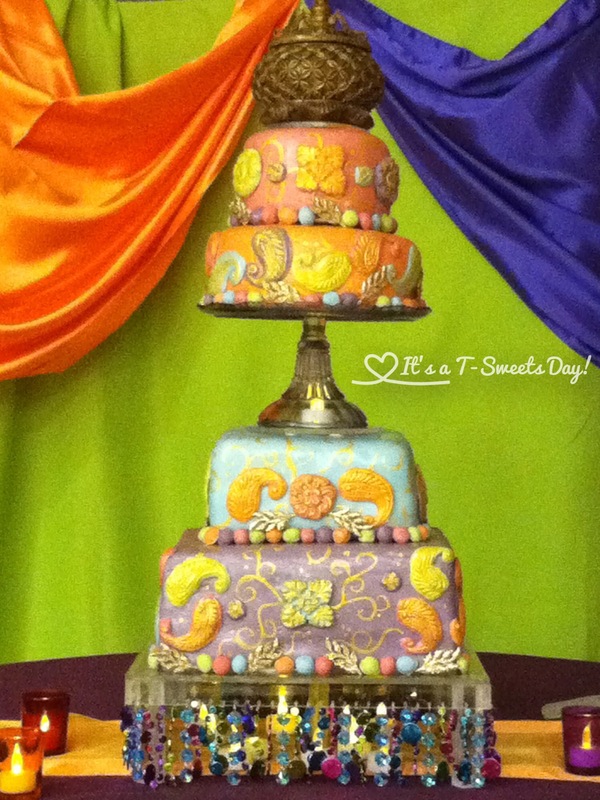 Moroccan Wedding Cake – It's a T-Sweets day! Published on August 28, 2016 August 31, 2016 by Tracy @ It's a T-Sweets Day! Good Monday Morning! 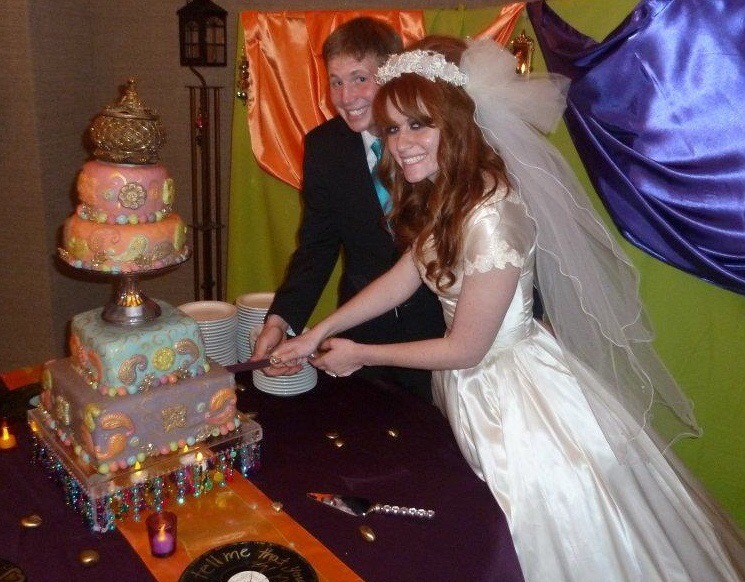 For this week’s Memorable Monday I would like to share my daughter, Tassy’s, wedding cake. Isn’t it fun?! Tassy, is a bright, happy, colorful person:). She is a shiny, sparkly spot in our family. Her wedding very much reflected her out going smiley personality. Her wonderful husband is used to her love of bright colors. It’s a good thing because color is who she is, from her gorgeous red hair to her love of abstract art. 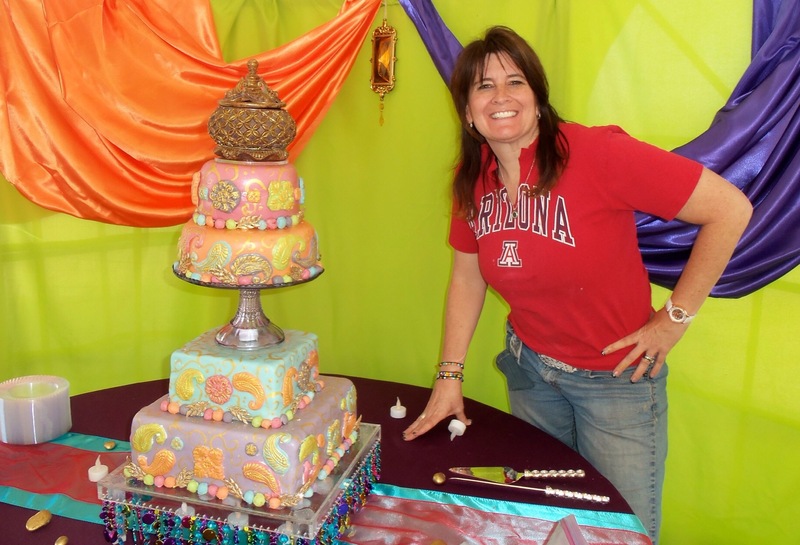 Her wedding was a colorful event filled with the bold bright colors of the color wheel. Her cake was a four layered Moroccan styled cake with layers of red velvet with a cheese cake layer, chocolate with chocolate ganache, and lemon for the groom. 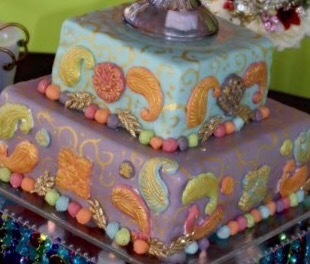 I hand painted the fondant and pressed and painted the paisley decorations. My husband made the colorful stand. There were tea lights under the stand and under the middle stand as well. I hope you had a SWEET weekend. I am on my way for a road trip. I can’t wait to see my kids:)!